Located minutes from Downtown Palm Springs this Charming 3 bedroom, 2 bath, West facing pool home, features an open floor plan, with lots of natural light, upgraded flooring in the living room, an original brick two-sided fireplace that partitions the living room and dining room. The kitchen over looks the dining room and features a built-in-oven and range, cozy bar-top seating and plenty of cabinets for storage. The Master bedroom offers a large walk-in closet, upgraded flooring, and direct access to the pool and is located on the opposite side of the spacious guest bedrooms. First time on the market since 1963 this home has been well cared for and loved by it current and original family. 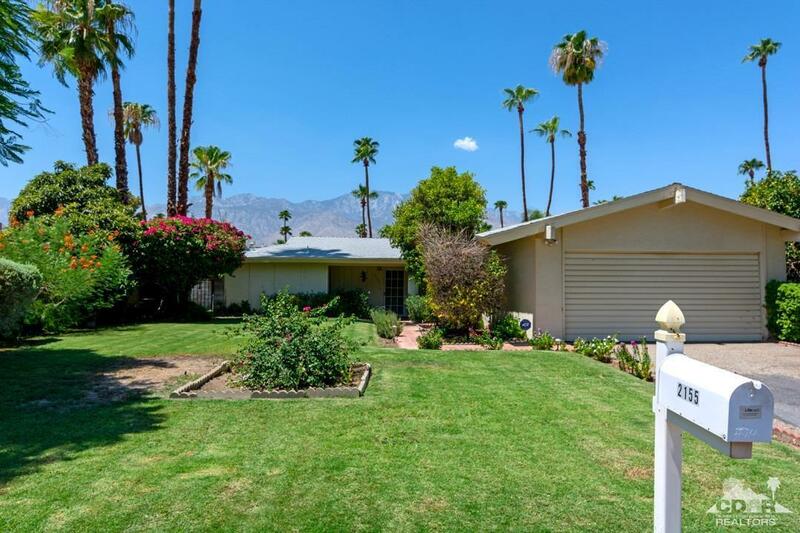 Enjoy pool-side and Mountain views from the living room to the kitchen in this Fee Simple (no land lease) No HOA Palm Springs Home! Must see to appreciate!